Fun activities for children of all ages are available throughout the two-day sale — bounce house, pedal tractor pull, play area, balloon twisting — as well as scheduled times for special events. Check the board by the children's area for the latest updates. Children will have the opportunity to bid on items at the Children’s Auction. An adult must accompany children to receive a bidding number and remain in the vicinity during the auction. Items for the sale may be previewed prior to the start of the auction each day. Google Maps offers driving directions to the Farm Show Complex. 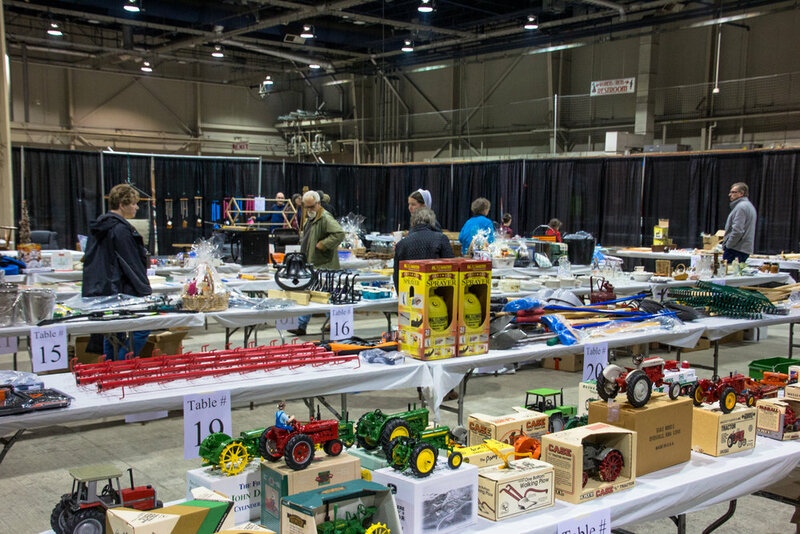 The sale takes place inside the GIANT Expo Hall. Admission is FREE, and includes a complimentary program of events. Parking is available on-site. It is $10 per vehicle, and is charged and collected by the Farm Show Association, not the sale. *The Pennsylvania Relief Sale does not permit animals in any venue where sale or sale-related activities are conducted. There are two exceptions: 1) Service animals are permitted. 2) Emotional support dogs or cats are permitted if accompanied by appropriate documentation. In either case, the owner will be held totally responsible for the behavior of the animal. 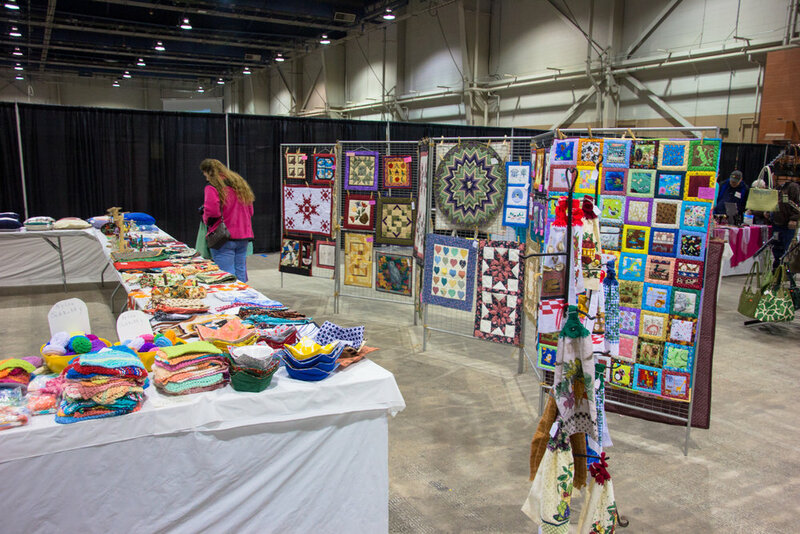 Attendees can shop at Ten Thousand Villages, Craft Stand, Plant Stand, Quilter’s Attic, New and Used Books, Share-A-Meal, MCC Stand, and more. 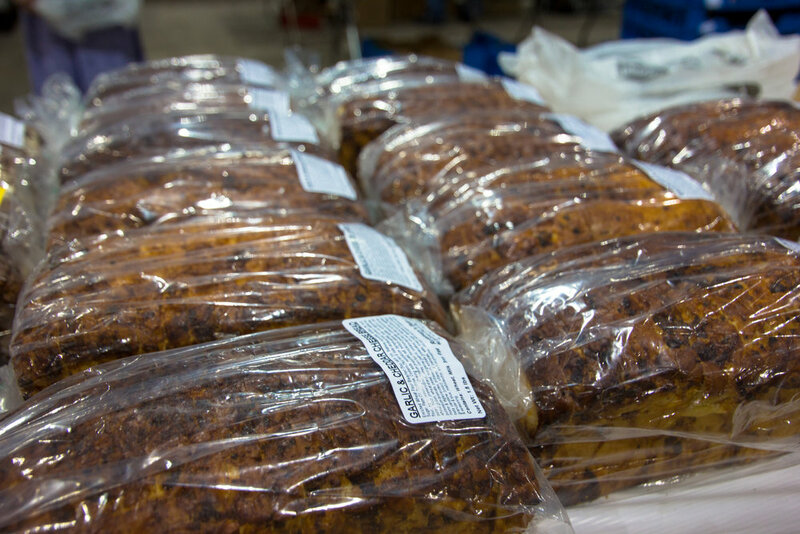 One of the major attractions at the Relief Sale is the food! 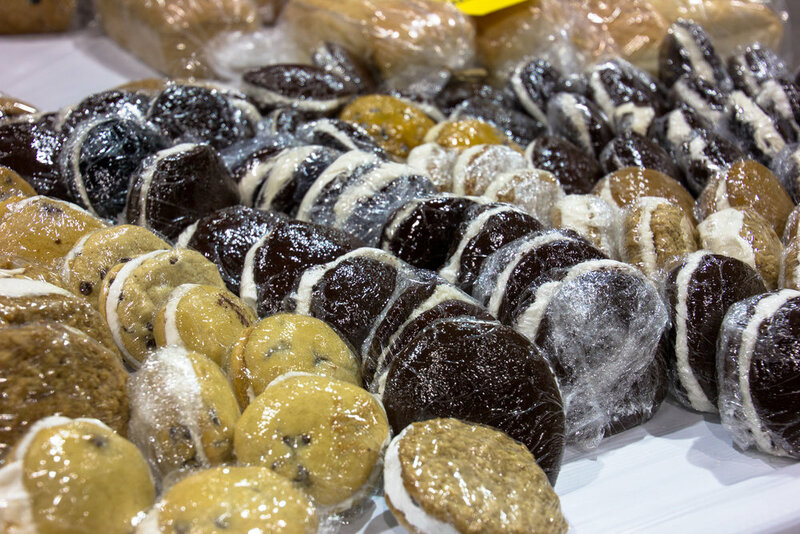 There is something for everyone - from homemade donuts, strawberry pies, apple dumplings, and ice cream to soups, salads, sandwiches, pizza, wings and international food. Saturday morning features breakfast items, and coffee, drinks, smoothies, juice, tea, water, and more are available anytime. Share-A-Meal allows for individuals, couples, or a group of family and friends to purchase a specialized, prepared meal by wonderful cooks and hosts. Share-A-Meal offers a unique opportunity to create community over a meal. Guests and hosts can enjoy a time of fellowship and good food. The hosts donate, prepare, and serve food to the guests who have purchased the meals. Per person cost is $25 and there are several options to choose from. Additional meal options will be available at the sale. Stop by this stand to learn more! Interested in volunteer opportunities? A coordinator is needed for this stand for April 2020. Contact us if interested!